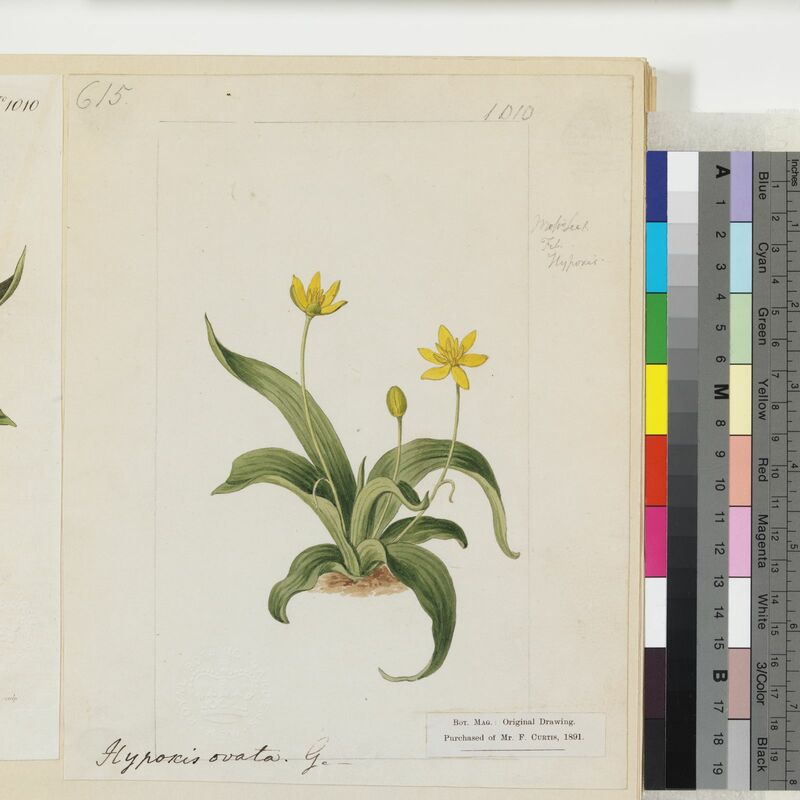 This genus is accepted, and its native range is Tropical & Subtropical to N. America. Herbaceous geophytes; perennating organ a vertical rhizome surmounted by a ± dense coat of fibrous leaf remnants and ringed by stout contractile roots usually arranged in an equatorial zone on the rhizome. Leaves basal, sessile, linear to lanceolate, V-shaped in cross-section (conduplicate) or flat to ± terete, sometimes pseudopetiolate, sheathing at the base, pubescent along the abaxial midrib and margins, and often also on the lamina, sometimes forming a pseudostem (from the leaf sheaths and cataphylls), outermost leaves often reduced to cataphylls, new leaves produced successively from within older leaf bases the latter disintegrating into fibrous remnants; indumentum of 2-armed or 3–12-armed (stellate) hairs, white to brownish. Inflorescences usually produced continuously throughout the season; scapes simple or branched; flowers racemosely or corymbosely arranged, or flowers solitary; bracts hairy along the keel and margins. 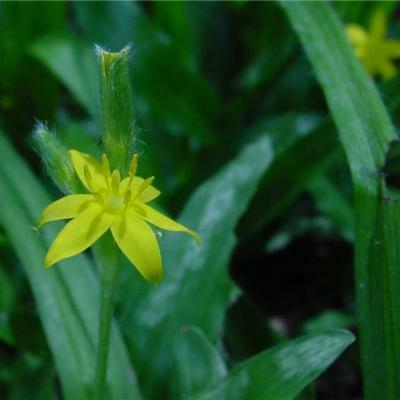 Perianth segments (tepals) free, acute to obtuse, persistent, yellow adaxially; outer tepals greenish and pubescent abaxially, inner tepals yellowish-green and pubescent only on the abaxial midrib. Stamens 6, uniseriate; filaments short; anthers latrorse, thecae fused or free at the apex. Ovary 3-locular; fruit a capsule with circumscissile or loculicidal dehiscence. Seeds with a distinct raphe, hilum and prominent micropyle; testa shiny black or dull brownish, smooth or variously papillose; the cuticle of the papillae smooth, or with 3–4 wing-like striae radiating from the papilla apex and often with fine irregular reticulate striae between. Seeds with a distinct micropyle; testa shiny black or dull brownish, smooth or variously papillose; the cuticle of the papillae smooth, or with foldings, most often as wing-like striae radiating from the papilla apex with fine irregular reticulate striae between. 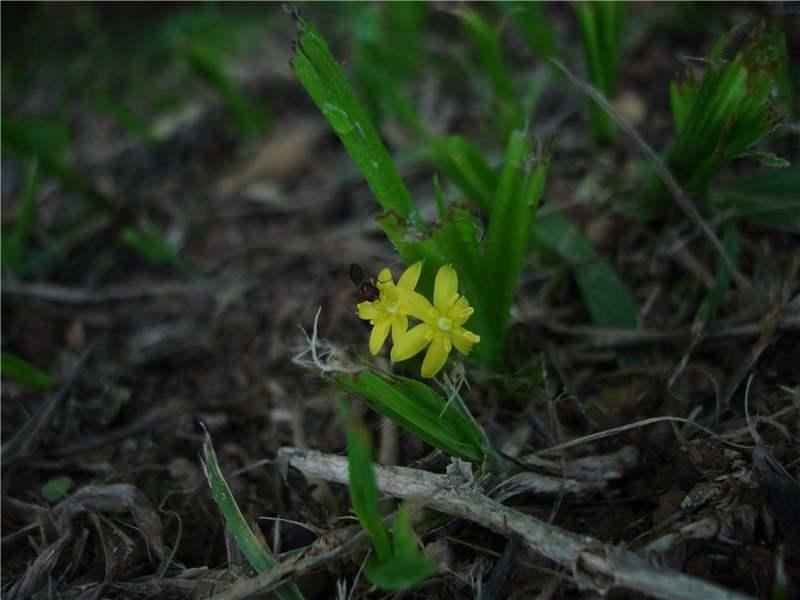 The genus includes a few diploid species with normal sexual reproduction (as H. angustifolia and H. filiformis) and several highly polyploid species that reproduce apomictically (asexual seed set, genetically equivalent to cloning). Plants with apomixis always create taxonomical problems, as the variation patterns are difficult to compare with those of sexual species, and species delimitation becomes complicated. Different morphological forms often occur in the same „population” as there is no gene exchange. Some authors have been splitters – and probably largely described clones (e.g. Nel 1914)–others have been lumpers (e.g. Nordal et al. 1985). Here we have tried to compromise. 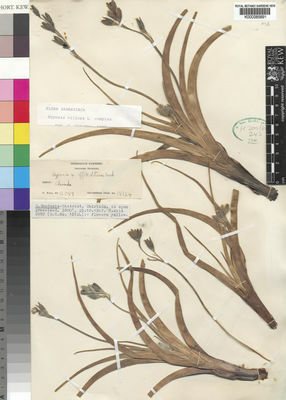 Generally, more field observations (particularly on underground organs) and microscopic observations (particularly on indumentum and seed surfaces) are needed. 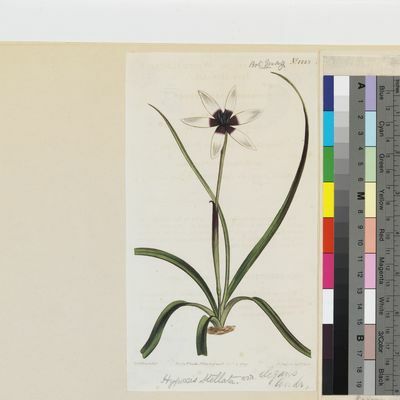 Adding to the difficulty in identifying taxa is the fact that the plants continue to produce new inflorescences while the leaves develop, thus completely altering the appearance through the season. Also the indumentum density changes through the season: in the same plant young leaves may appear densely pubescent, and old leaves may appear almost glabrous. When we refer to leaves in the key, this does not apply to the outer cataphylls, which might differ in indumentum and certainly in shape, but to well developed inner leaves in the rosette. 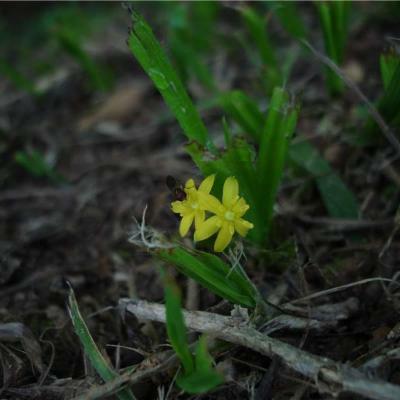 Range: A genus of about 50 species, widespread in grassland and wooded grassland in Africa, America, Asia and Australia. Most of them appear to be fire tolerant, some even needing fire to flower. 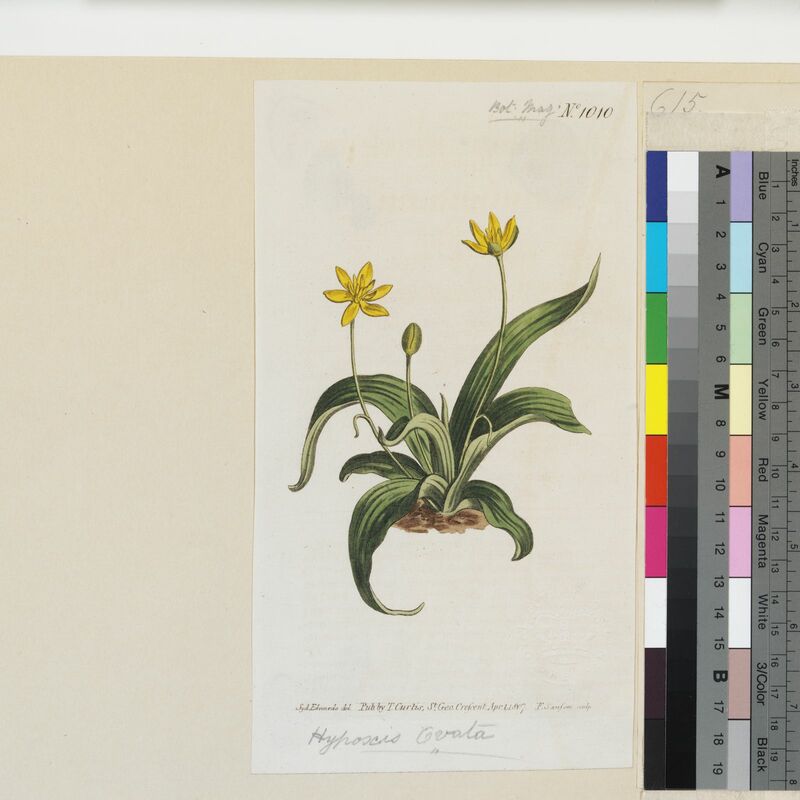 Hypoxis hemerocallidea Fisch., C.A.Mey. & Avé-Lall. Hypoxis mexicana Schult. & Schult.f. 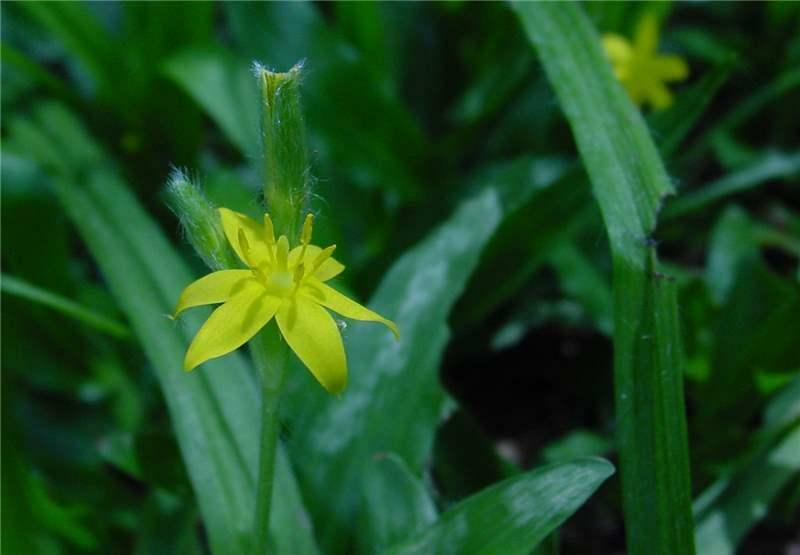 Hypoxis obtusa Burch. ex Ker Gawl. Niobea Willd. ex Schult. & Schult.f. Nel in Engl., Bot, Jahrb. 51: 301 (1914). Nordal in Kubitzki, Fam. Gen. Vasc. Pl. 3: 292 (1998). Nordal et al. in Nordic J. Bot. 5: 15–30 (1985). Geerinck in Bull. Jard. Bot. Belg. 39: 72–80 (1969). Nel in Bot. Jahrb. Syst. 51: 259–286, 301–340 (1914). in F.T.A. 7: 377–382 (1898). in Syst. Nat. ed. 10, 2: 986, 1366 (1759) pro parte typ. excl. H. fascicularis.